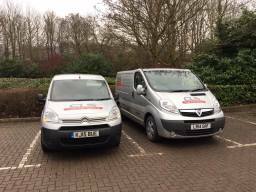 About CLS Maintenance Ltd CLS Maintenance LTD is a small friendly company based in Milton Keynes, we are fully insured, on the Gas Safe register, Safer Contractor approved and are all DBS checked. You can find us on pages such as My Builder and on checkatrade, so you can be sure we are who we say we are and have been governed and checked through accredited sites properly. CLS Maintenance Ltd. has been running since 2013 when we decided two trades working as sole traders should try to join forces and make a great maintenance team. We have many years experience in Property Maintenance, so you can be sure you have come to the right place. We offer free quotations and friendly advice. We pride ourselves to be very reliable, competitively priced & will always tidy up after ourselves. We have Property Management Companies, Landlords, Schools and many other happy customers that come back to us time and time again. 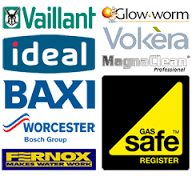 Please feel free to ask for references, see some of our customers comments that we are very proud of in the reviews page. Testimonials are curated by CLS Maintenance Ltd and are not independently reviewed or verified. "Always reliable and work completed to a high standard"." "Painting & Decorating: " From before they'd even stepped into our house, Chris and Hannah had made a good impression - putting on plastic covers over their work shoes to protect our carpets, despite being assured that it wasn't necessary! And from then on the experience was nothing less than excellent. They were prompt, flexible, friendly, thorough and very professional. And that professionalism extended to vacuuming and dusting once the job was completed. They understood exactly what we wanted and the job, although modest in scope, achieved its aim. We would have no hesitation in either using CLS again or recommending them to anyone who wants work carried out to a high standard by a friendly company"."